SOLD! Lake Front Home in Mansfield! Posted by ombrady Posted on Jun - 11 - 2015 Comments Off on SOLD! Lake Front Home in Mansfield! SOLD! 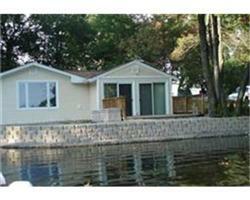 Bugay Lake, Mansfield- WATERFRONT HOME BEING SOLD “AS-IS”. Ideal for outdoor enthusiasts or simply someone who can appreciate spectacular views. Prime lake access is just a few steps from your front door. Boating, swimming, skating, fishing, and water skiing make this property the ideal year-round vacation without the commute! This contemporary ranch offers an open floor plan and many updates including a remodeled kitchen with a center island, newer bathroom, roof, and replacement windows. It also includes a large deck perfect for entertaining outdoors. $135,000.